I use these brushes every single day and I don’t give them enough credit, some I’ve had for longer than others but I love them all equally haha. 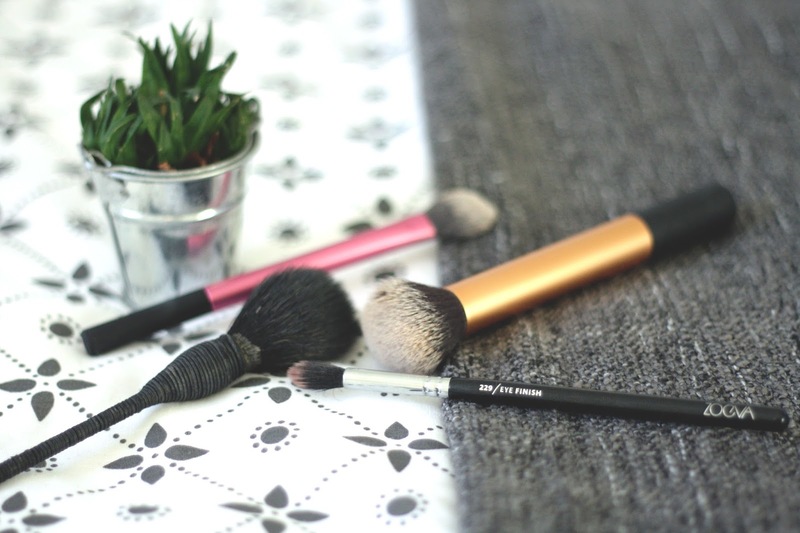 These are four brushes that I now couldn’t live without because they’re just super amazing! I don’t know how I lived without this brush, I use it religiously every single day. I use this for blending in my concealer under my eyes and around my nose. Its quite small so it fits perfectly under the eyes, compared to using your foundation brush. Its just really soft and gentle and blends in everything perfectly. This is a cult classic I feel. A brush that is part of the core collection from real techniques. I’ve had this for a while and I think its about time I got a new one because it won’t wash properly anymore (sad times). Anyhow, this brush is just amazing for buffing in your base. Whether you’re applying a light bb cream or a full coverage foundation this just always seems to do the job for me. Can’t beat it! Can we please discuss how much this looks like the NARS Yachiyo Kabuki brush? This is an extremely good dupe in my opinion and I feel as if I do actually own the NARS offering, its that brilliant. Also price wise, its ridiculously cheap. I use this for powder, bronzer and highlighter. Its such a good multi tasking brush – and it doesn’t pick up too much product which I find really great. I haven’t heard too much about this brush in the blogging world, but its such a good little brush. I find this so perfect for applying eyeshadow into the crease and blending it out. This is the only Zoeva brush I own but its made me want every single last one haha. Its slightly tapered so it doesn’t pick up loads of product which makes it perfect for blending colour into the crease.